People in today’s business world of uncertainty always accompanied by innovation, will survive only if they engage in the processes of economic integration, intensification and deepening processes of the interdependence between the economies, elimination of economic borders. The agri-food model that has asserted itself over the last fifty years is one of the causes of the most serious environmental and climate changes ever experienced by humanity. On one hand, in so far as they were considered inextinguishable, natural resources such as water, land, forests and woods have been exploited indiscriminately, and have hence deteriorated irreversibly. On the other hand, industrial farming has made an increasingly unbridled use of inputs of fossil origin, such as chemical fertilizers, pesticides and plastics. At the same time, the financial problems that have appeared in recent years as a result of the beginning of global economic-financial crisis put an increasing pressure upon EU evolution as a whole. Finding additional financial resources for agriculture and rural areas will have to be intensified and stimulated. Major challenges are to ensure food security and sovereignty, response to environmental and climate crisis, and recover the economy and employment in agriculture and rural areas. European Union countries undergo a difficult phase to joint their efforts with the community and the Eastern neighbourhood states that expect to strengthen their place among democratic nations and live in the hope to integrate their national economy in the European Union Common Market in order build a new socio-economic system based on market relations. The emergence of a new socio-economic system open to the world, the triggering process to joint their efforts with the international community, the trade liberalization will produce arguably significant changes not only in form, but also fundamentally, in the economic life. Agriculture for all countries was and is still a support for the human existence and, therefore, it is the most powerful factor in harmonizing the balance of economic development. Firstly, the agriculture aims to ensure food security of the population, which is determined by food availability, food supply and accessibility of food requirements at affordable prices both for the producer and consumer. However, agriculture is also the branch that contributes to the rural development. 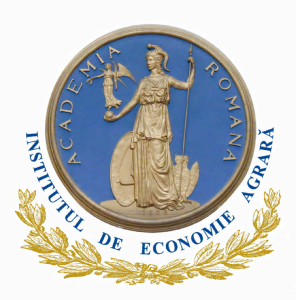 Starting from the axiom that the free movement of goods within the common market is not extended automatically over the agricultural trade, the common market for agricultural commodities must be accompanied by the establishment of a common agricultural policy among the Member States, which is currently extended for the Eastern Partnership countries too. The Common Agricultural Policy should have been directed towards improving agricultural productivity by promoting technical progress and optimal use of production factors, especially labour force, ensuring the standard of living in rural areas appropriate to the way of life in the country. Last but not least, we would like to focus on the competitiveness of agri-food products in the EU, which are facing direct and permanent competition with similar products from other regions of the world and the way in which the financial resources have been correctly directed and efficiently used. Each EU member country can have its own policy respecting the principles: community preference (setting trade barriers around the single market), financial solidarity (sharing revenues and costs) and joint financing, supporting the prices for agricultural products ‘prices with low elasticity of the offer, as cereals, sugar, table wine etc. 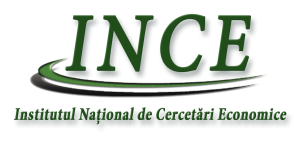 This situation obliges undoubtedly to amplify the exchange of views formed in trials of the agriculture economic integration process and its consequences over the rural development both in the Member States of the EU and the Eastern Partnership countries. 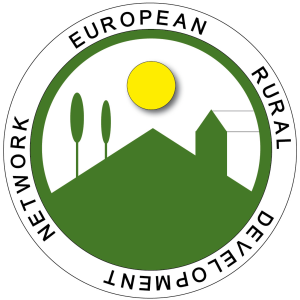 It is out of these reasons that we consider it necessary that the ERDN meeting from 2014 has as main theme the evaluation of current situation in agriculture and rural area as well as their perspectives. 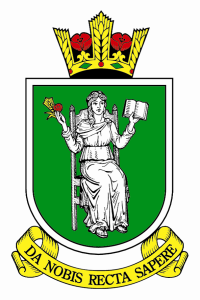 At the same time, we intend to extend our concerns and sphere of interest by attracting new members in ERDN, to deliver new outputs of our activities, to promote and share the results of our concerns with other participants, networks and actors, to create a rich and favourable background for future collaborations. Evaluation of the effects of Eastern Partnership. Analysis and refining common goal systems for agriculture and rural development (determination of specific social needs) in different EU member states, at different stages of development and integration with the EU and transition countries. Determination of competitiveness of agri-food products from Eastern partnership countries on EU agri-food market and best practices identified in rural development. Identification of challenges, opportunities and risks for sustainable rural development within the Eastern Partnership Multilateral Platforms 2014-2017.